Oppdag historien om Granada og Alhambra på en guidet tur i Albaicin og Sacromonte. Turgåing tar inn severdighetene i de to historiske enklaver sammen med kommentarer om dynastiene og den unike arkitekturen i Granada. 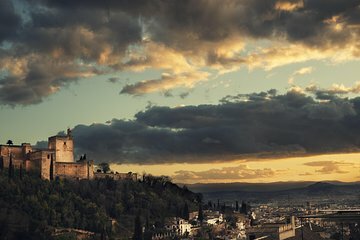 Besides the Alhambra - this walking tour of the Albaicin and Sacromonte areas was a highlight of my recent visit to Granada. I highly recommend this tour. It was a great value for the price. My guide was the very lovely Alba Garcia. Alba was funny, smart and an extremely good story teller. I could have walked this area by myself but I would never have known the wonderful and rich history of Albaicin and Sacromonte without Alba's commentary. There is a lot of ground to cover on this tour and it is best to NOT wear the new sandals that your purchased that day (ha ha). Solid walking shoes/sandals are highly recommended for this tour.